Graphic design school is a great place to start your creative career, but in the constantly changing landscape of design, it’s important to recognize design school isn’t the end-all be-all place to become the best creator you can be. Trends are constantly changing and real world experience is invaluable. Graphic and web design has a well-deserved reputation for being one of the fastest changing industries in the world. It’s always on the move and styles never stay the same. Design school doesn’t necessarily keep up with, or prepare designers for real-world applications — taking shorter graphics and web design classes will keep your juices flowing and your skills sharp. Inspiration: As graphic designers, it’s crucial you do everything in your power to remain inspired and creative. While design school might teach you the ins and outs of designing, it likely didn’t teach you how to stay creative and find inspiration. Real-World Design and Creation Processes: While school is a great place to start, students don’t often have the chance to work on real-world design and creation processes from start to finish, rather just pieces of the puzzle to get their feet wet. It’s crucial for you to understand the whole process and see how projects evolve over time; including timelines, deadlines, production, and much more. Real-World Applications: In addition to the process, students often come out of design school feeling like they didn’t have a chance to get hands-on experience creating for a real client or campaign. 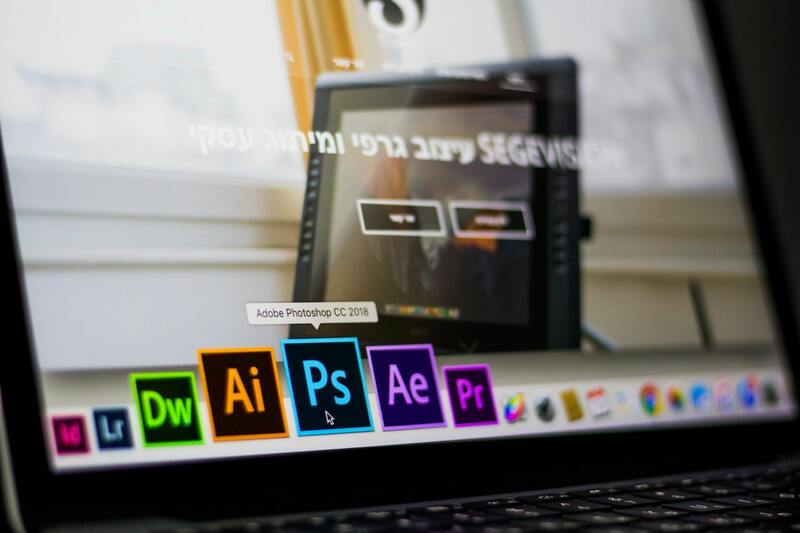 In-Depth Knowledge of the Adobe Suite: Many graphic design schools don’t cover all the programs in the Adobe Creative Suite, but rather brush over some of the applications and just give students a quick view of what they are designed to do. To be a successful graphic and web designer in this day and age, you must have a deep and clear understanding of the suite. All the programs within the Creative Cloud have become industry standards for web design, graphic design, print layout, video production, and much more. The Latest Trends: Depending on when you went to school, it’s likely the whole graphic design, web creation, and larger marketing scape has totally changed. The Adobe Suite programs are different and significantly more powerful. We now not only build eye-catching websites but they must also be search engine optimized, and there is a much larger need for web and digital ads than print ads nowadays. 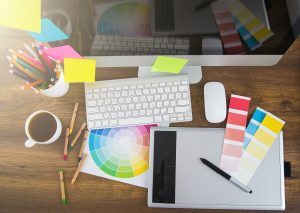 If you went to graphic design school a while ago, it might be time to take a refresher course in Adobe Creative Suite and web design to keep your skills sharp and learn the latest trends in the industry to make you a competitive applicant or freelancer. If you’re considering switching to a graphic and web design career, or want to freshen your skills, consider taking design classes or completing a design certificate at the Digital Workshop Center. We offer practical, hands-on training that will give you real-world experience and the skills and confidence necessary to land a great career in design. Contact us today to learn more about our graphic and website design classes and certificate programs. We offer job training grants, financial aid, and many other resources to help you upskill your resume and keep your design skills sharp.